The aggressive V-design tread pattern picks up a large volume of snow. Optimum traction is achieved thanks to interlocking with the snow. Effective water displacement from the centre of the tyre to the outside ensures a high level of safety on wet roads. Even pressure distribution minimises wear. 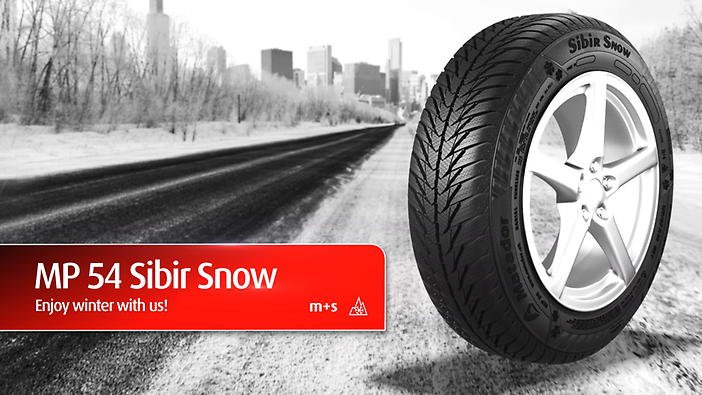 This improves driving quality and extends the life of the tyre. The optimised tread rigidity reduces road noise. The noise level remains pleasant and driving quality is improved.